For primary today I did a version of "battleship" with the kids. I think I found the original idea on The Crazy Chorister and then tweaked it to fit my needs for today. I drew a large grid on the chalkboard letters down one side, numbers down the other. I had the same grid on a piece of paper with my "secret special locations" that only I got to look at. The kids took turns giving me a coordinate and then if they hit a special spot they got to choose what song to sing. If they missed I got to choose what song to sing. We were able to review the song of the month, throw in a few fun wiggle songs, and also learn a brand new song all today. In order to make sure no one felt like a loser for "missing", I would say, "You didn't hit a secret spot, but you did hit learn the first line of 'The Hearts of the Children'" -or whatever song I felt like I wanted them to do at that moment. I think it went over really well. The kids seemed to have a good time with it. Today was that day. That "wonderful" day of the year, when I get to go in and hear just how awful his teeth are. I've dreaded it all week. In fact, I had a nightmare earlier this week in anticipation of the event. I dreamt that my kids' teeth were so rotten that the dentist threw his hands in the air and said, "I can't help you anymore." This is now the THIRD dentist to look at Carter. I told him before he even started, "Yes, I'm aware there is decay on his teeth. There always is." It still didn't stop him from exclaiming, "WOW!" as he ticked off each stinking one. And to add to today's "joy", he found an abscess on Carter's gum. Don't know if I told you or not, but Carter has a molar that the root somehow mysteriously dissolved on one side. We were kind of hoping it would just die and fall out on its own, but no, its now abscessing instead and will need to be pulled. Kate and Alyssa were also seen today (Halle is next week) and neither of them had any cavities. Hip hip hooray! How is it that kids from the same family, who eat the exact same diet, and brush their teeth the same number of times, can come out with such extremely different results??? We left with a $1000 "payment plan" in hand for Carter's future treatment. Ughhh....can I go throw up now? Me: "Carter did you choose chocolate pudding for your dessert?" Carter: "No, I told Alyssa I didn't want any. I said I wanted something healthy instead." Hmmmmm...... I think the evidence is against you, dude. Okay...so I'm thinking I am going to start a new thing on Sundays. I am the primary chorister for my ward (which means I teach the music to the children 12 and under) and I really need a place to remember what I did, if it worked, what I'd like to do next week, etc. 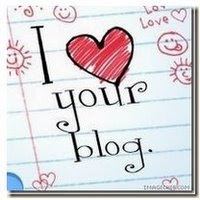 And what better place than my blog? This is just for me, but if you feel so inclined, you are more than welcome to read along. And if you ever have suggestions, please feel free to pass them my way. I am always on the look out for a new creative game to play to make singing time fun for the kids. This month we're learning the song "I Know That My Savior Loves Me". I won't recap exactly what I did earlier in the month -I'll just start with today- but basically I am teaching the sign language of the entire song to the kids. You'd be surprised at how well this helps them remember their words. We worked on the first vs. week one, the chorus week 2, the second vs. week 3, and today was review for the entire song. Today I brought an apron with 8 pockets filled with ways to sing the song. Monkey- sing 00's and ah's instead of words and listen to the melody. Coin -heads boys sing, tails girls sing (For jr. the choice was for who sang the 1st vs. and who sang the 2nd.) Who ever wasn't singing had to sign. The Letter I - don't sing any words that mean "yourself" i.e. I, me, my. I can't say this is my original idea, the "primary pockets aprons" have been around since I was a little girl. This was my first time using it in our ward, and all the kids voted that they liked it and want me to bring it back another time. I would call it a success, even though a couple of the 12 year old boys didn't participate, but they refuse to participate just about every week, so nothing new there. Still thinking of a way to get them to love singing time, but it may never happen. Kate is ALWAYS singing something. Most of the time at the top of her lungs. And her songs always have a story to tell. Who knows? She just might be the next American Idol! HA! Here's one she just popped out tonight when I asked her to sing a song for the camera. And now, without further ado, I present "The One Legged Chicken". My favorite lines hit at 22 seconds and 38 seconds. LOLL!! Here's the sub titles in case you can't understand. One little chicken, one little girl. I watch out, I want to see the chicken. It goes ???? It has only one leg. Girl say, "Come here, I'm not gonna hurt you. Look at this. Is this you leg?" Cause I glued it's leg on. I glued it's leg on. when I gave it ????? I love me, wonderful, chicken walking on its tippy toes. Walking on its tippy toes. And as you can tell she would have (did) kept going and going. There's no end in sight to these silly songs. Ever since I painted my living room, I've been wanting curtains on the front two windows. I didn't paint that wall because of where-to-stop-the-paint issues, and I thought curtains would help disguise that a little bit. So for Christmas Jarom let me pick out curtains. I loved these in the store. They were a nice dark color and very different from my dining room curtains (which are on the opposite end of this room). I wanted them to look distinctly different so as not to look like a mistake. But when I got home and hung them....well, I didn't like them so much anymore. (And I realize they are not straight in this picture.) I had planned on buying an extra panel of the valance material and adding length to the bottom of the panels, so the length wasn't the issue. They were just too "froofy" or something in my room. They were too different from the dining room. And they were too dark. They just didn't work for me. I left them hanging for almost 2 weeks, to see if I could get used to them. But every time I walked into that room I liked them less and less. And then, when I went to find the material to make the length right.....well....it was a whole other drama and that was the final straw. I returned them and replaced them with these pretties. I like them SO much more. The colors are better, they compliment the dining room better, the length is better. Yep...these are just better. I don't particularly love the couch here anymore; the windows now dwarf it, but it's what I've got so we'll live with it for the time being. But I love how the curtains have the new wall color on the top and the color of the dining room drapes on the bottom. So here is my dilemma now. See that window next to the piano? How and what do I cover it with? The new curtains are on the right as you walk in the room. Here is a view of the rest of the room with the dining room included. I don't really want to do the same treatment as the front two windows b/c this window seems so insignificant to the room. I'm afraid a full treatment will give too much weight in the middle of the room. What would you do? And boy this post seems trivial and worldly as I type this during the Hope For Haiti fund raiser. Aren't we SO blessed?! My heart goes out to the Haitians right now. My mom showed up in the midst of my pedicure and brought me balloons and a slice of cheesecake. My pretty sister waiting for my pedi to get over so she could cut and highlight my hair. The new do. Lots more layers and curls. I'm having a lot of fun with it. After my spa day, I ran home to see my kids for a bit. They were darling. Jarom let them pick a few things to give me. I got magnetic letters for the fridge from Carter and Kate, and Halle gave me little drink umbrellas. (I'm thinking there might have been some ulterior motives behind these gifts.) I also got some new measuring scoops and a free babysitting job from Alyssa. We enjoyed dinner at Plum Loco (a Mexican restaurant here) and then it was off to see Avatar. I have to say, I've had zero desire to see this, but with all the hype everyone is giving it, I decided to give it a try. I am shocked to report....I really loved it. It was awesome! SO much more than the trailers make it out to be. Really great show. And a great way to end an awesome birthday. We were all ready for church on Sunday and I had to pause and take a couple shots of Kate. She just looked so grown up to me. She tolerated the back of the head shot. Pretended not to notice this side shot. But wasn't very excited about the profile shot. And was thoroughly annoyed with a face shot. What a little bugger! Even when she gives me goofy faces, I still love her. I wasn't going to post birthdays this year. I have SO many family members that birthday posts get out of hand on my blog. But my mom emailed these pictures of my dad and I thought they were too cute not to post. So....Happy Birthday Dad! Dad with some of his kids. Quin....it looks like you and I are no longer the favorite children. LOL! Guess what folks?! It's back! T-I-T is back! I've been in the BIGGEST food rut at this house. I decided I HAD to get back into my "trying one new thing a week" deal, or this family was going to overdose on McD's and Taco Bell. I can't promise I'll post every Tuesday as I used to...for some reason it seems overwhelming to me right now. But when I get a good recipe -like the one to follow here- I'll be sure to post it. Today's recipe was a hit. I asked my kids if they liked it and my 5 year old replied, "It's 100% delicious." The following day, when I told them it was left overs for dinner, they all cheered. That doesn't happen everyday! Cook noodles as directed on package. Drain, reserving 1/2 C of the cooking water.Brown bacon in a deep skillet. Drain the grease and crumble. Set bacon aside. Pan fry chicken in the same skillet after the bacon is done (I sliced the chicken before I cooked it so there was more surface to get flavor from the bacon). Add the dressing, scraping the bits at the bottom of the pan. Stir in noodles and reserved cooking water. Remove from heat and add the spinach (I didn't add this, I just served the noodles over the raw spinach. ), 1/2 C of the cheese, and the bacon. Toss lightly to combine. Sprinkle with the remaining cheese. We just got done running errands and we'd been in the car for a little while. When Kate got out she said, "My feet feel funny." I said, "Did they fall asleep?" She said, "Yah...they're making polka dots." LOL! Pretty good explanation of tingles from a 4 year old I think. This year I've got an exotic display going on in my backyard. I think this one is a llama. Not sure what this creation is. And good ol' Frosty to watch over everything. I can not get it through my head that it's the new year already. Crud, I'm barely believing Christmas happened. (Although my checking account tells me otherwise.) I'm not even ready to take the tree down, and it's not because I don't have the energy, it's simply because I'm enjoying my tree this year. We did enjoy a fun New Year's party at Becky's house this year, but my camera died, so I have no pictures. I'll have to borrow some of Becky's to post. We also enjoyed New Year's Day lunch at my mom's with our family friends the Infangers. Their grandad passed away so all of the kids were in town at the same time. A rarity indeed. Halle keeps asking when she will get to play with Elizabeth again, apparently every 3 years is not enough. 2010 has already proven to be an exciting year. It started off with a bang when I got jalapeno juice in my eye. Oh my holy.....I don't even know what word to insert here.....it hurt like a son of a gun! I immediatly rinsed it with fresh water and serious thoughts of, "I. am. going. to. be. blind!" ran through my head. I hopped in the shower (poor Jarom, he had the water running for himself) and yelled at Jarom to google what I should do. -What did we EVER do before Google?- A minute later he returned with a glass full of milk. He told me I was supposed to rinse my eye with milk. I did and... INSTANT relief. I really, and I mean REALLY, have an aversion to milk and tried not to gag as I dipped my face in it, but I have NEVER been MORE thankful for milk in my life. And good news folks....I'm not blind. I'm not sure if I have carpet or candy wrappers for flooring in this house. There are resolutions this year, there always are for me. More personal scripture study time. How has your 2010 been so far? Got your goals set? The party was held at Kevin and Becky's this year. We had so much fun. There was a violent Nerf gun game. I'm surprised we didn't end with crying kids because some of those suckers hurt! Oh but it was fun, I don't think I've laughed that hard in a long time. Poor Becky's clock took the brunt of things. Kate's winnings from the Bingo game: costume jewelry and boy oh boy did she feel pretty. and a toast to ring in the new year! Jarom and I and (surprise!) sleepy little Carter. Halle and her cute little friend Maddy.